Could your lineup could use a little extra superstar flare? 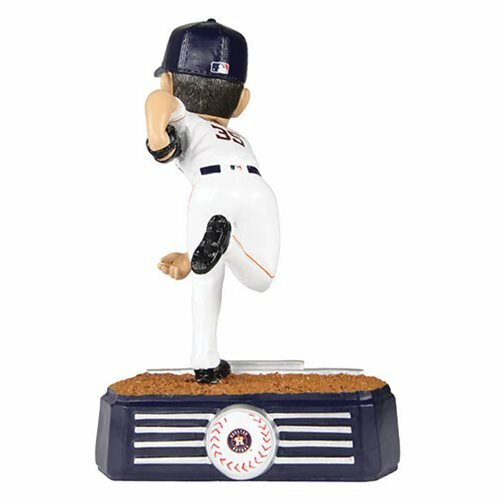 This MLB Houston Astros Justin Verlander Stadium Lights Bobble Head should do the trick! Under the brightest lights and in front of hundreds of thousands of fans across the world, pitcher for the Houston Astros Justin Verlander brings his "A" game to your table. 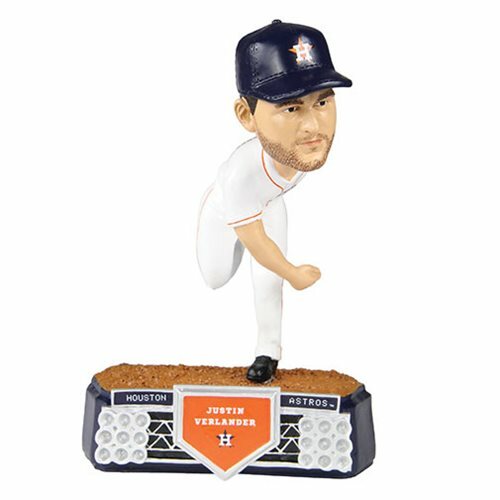 Standing about 8-inches tall and designed to resemble this fan-favorite player - kinda - Verlander's jersey bears his number and the base shows his name. Bobble on, Justin!